Crafted from a blend of five premium malts to create a complex depth of flavours with dominant coffee notes. 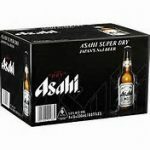 Crisper than sweet darks and smoother than harsh stouts. Perfect for the moment when you step in from the cold. Food Match: Great with oysters, freshly smoked eel or blue cheese. 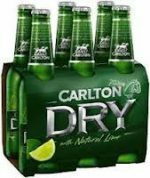 Carlton Dry Fusion offers an easy drinking, lower carbohydrate beer brewed with natural lime to add a distinctive, fresh flavour and subtle saltiness that adds to the smoothness. Fruity and floral characters, balanced with a crisp bitterness, Coopers Pale Ale has a compelling flavour that is perfect for every occassion. 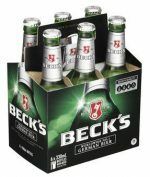 A beer with a complex aroma followed by an elegant and sophisticated flavor finishing with a pure, crisp, dry taste.